Looking for private in-home or in-studio Music Performance lessons? Our Converse teachers are ready to get you started. Find your teacher today! I have taught beginning trombone, guitar and piano to both children and adults. As a singer, choir director and vocal coach, I have worked with students from beginner to professional levels. Playing notes and making music are two very different things! I can help you with your musicianship and performance skills! Practicing and performing can feel very different; my teaching will focus on making them feel much more similar and how to get comfortable playing in front of people. Practice room efficiency is key, but we will also work on calming your mind and staying positive even when nervous. achers include Rob Kassinger, Ira Gold, and Owen Lee. In her free time, Ms. Neilson enjoys knitting sweaters, doing vinyasa yoga, and daydreaming about her future dog, Button. Sara has a great eye for detail, and has various ways of articulating what she either sees or hears in a person's playing. She does well in meeting the student where they are in order to encourage them along the way, while maintaining the teacher student relationship, something not easily done. Her experience, willingness to help and patience all make her a very excellent instructor in my opinion! Our high school son bounced around from teacher to teacher till he met Sara. She is an excellent straight forward teacher. Who just brings the best out in his playing. She is detailed and focused. Highly recommended. 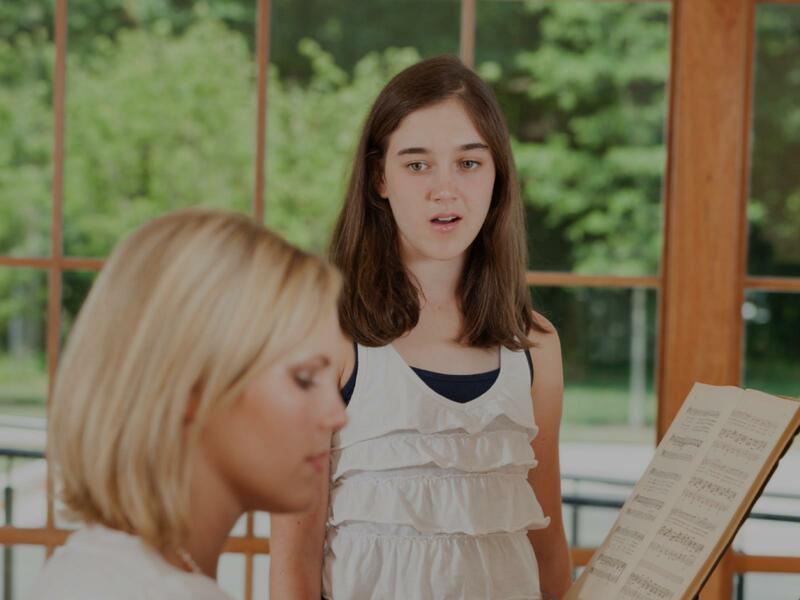 Voice lessons with a focus on how to sell the music and really Perform! I believe that anyone who wants to can be a performer if they put in the time and effort- we can work on your musicianship skills and how to use this as a performer! r voice and learning how to use a the microphone but also the icing of knowing what to say. I am not perfect now, but not a horrifying mess like I was. Now I can at least speak and feel relaxed. Simplicity singing lessons that f work. :)"
to interact with the crowd and also knows how to audition. She has landed a local lead part at her local theater production. My daughter looks forward to the classes." c piano scales. Danny actually went further and worked on my song which is R&B and taught me how to interact with a small crowd. Yikes, it works." h unnamed that had me do scales and but after hours of recording, the coach didn't know what else to say except breathe deep. With Danny in about 15-20 min, we were able to knock out my songs easily. Danny isn't your average instructor. He actually goes beyond scales. Some of my issues in were singing close to my break and certain phrases were hard to work with. Others were as basic as the way I was standing. I am impressed." profit but since we moved out of that area, we needed more one on one time. My son has improved in confidence, singing has gotten better. He even sang at a family birthday party for his little sister and even did a speech. I would have never imagined that type of confidence." c while playing and holding my notes while playing. As an added bonus, I even extended my upper range a whole octave higher, that was totally unexpected. After my first solo gig, I got amazing feedback. I am excited and ready to do more."